A tooth extraction, also known as exodontia, is simply the removal of a tooth. 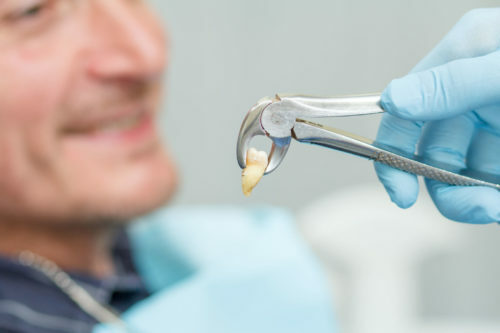 Our staff will try our absolute best to make our patients comfortable during and after a tooth extraction through the use of appropriate pain medications. Depending on the patient’s oral history and specific situation, a tooth can be removed either simply or surgically. If the tooth is visible, Dr. Gehring will perform a simple extraction. This is done by removing the tooth after a local pain anesthetic has been applied. If the tooth is not visible outside of the gums, our doctors will perform a more involved surgical extraction through an incision in the gum. After the extraction, we will advise the patient of a specific post extraction care regimen to follow. In most cases, a small amount of bleeding is normal. It is advised to avoid anything that may prevent normal healing, such as smoking or drinking through a straw.